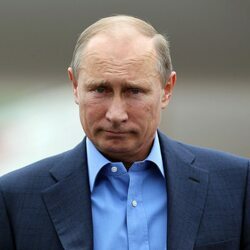 Vladimir Putin net worth: Vladimir Putin is a Russian politician who was born in the Soviet Union and has a net worth of $70 billion dollars. 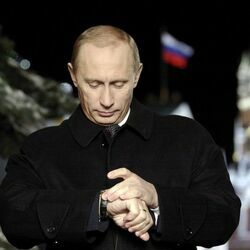 Vladimir Putin is currently serving his second term as the President of Russia. His first Presidential term lasted from 2000 – 2008. 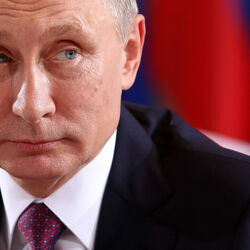 Putin was also Prime Minister of Russia from 1999 – 2000 and again from 2008 – 2012. Over the years Putin has earned a very controversial reputation. He is frequently criticized by other world leaders and political experts for his handling of human rights and foreign policy issues. Many westerners have called the circumstances under which he has continued to hold office in Russia “undemocratic”. Still, Putin has been fairly popular among the Russian people ever since taking over as President in 1999 following the surprise resignation of Boris Yeltsin. After earning a law degree, Putin’s career in politics began with a 16 year stint serving in the KGB. He was eventually appointed head of the Committee for External Relations of the St. Petersburg Mayor’s Office. From there, Vladimir’s political fortunes continued to rise until he eventually won the 2000 Russian presidential election. His public image is fairly unique for a politician, largely characterized by his “macho” outdoorsy image. He has been famously shirtless on several occasions or engaging in various dangerous and extreme sports. He is also famous for his “Putinisms”, aphorisms that come from his unique use of the Russian language (similar to how George W. Bush is famous for his malapropisms here in the United States). One example of a “Putinism” occurred during an interview with American journalist Larry King, who asked him what happened to a Russian submarine that had been lost in an explosion – Putin answered simply, “she sank”. Official disclosures list Putin’s annual Presidential salary at $187,000 (5.8 million rubles). Putin also claims to have a relatively meager net worth consisting of $180,000 in a savings account, a few Russian-made automobiles and a 16,000 square foot plot of land in the Moscow suburbs. Putin’s wife Lyudmila controls bank accounts totaling $260,000. In total, they claim their net worth totals less than $500,000. During his reign, many Russian insiders and experts believe that Putin has used his power to do a little more than improve life for the common Russian citizen. While many previously state-owned industries were privatized, Putin allegedly has used his power to build large secret ownership stakes several multi-billion dollar commodity firms. His most vocal critics assert that Putin has leveraged his power to acquire a 4.5% ownership stake in natural gas producer Gazprom, a 37% stake in oil company Surgutneftegas and 50% stake in Swiss oil-trader Gunvor. Gazprom alone does over $150 billion in revenue annually, Guvnor does $80 billion and Surgutneftegas over $20 billion. Using their most recent market capitalizations, Putin’s combined ownership stakes would give him a personal net worth of $70 billion.